There have been rumors flying around that Conor McGregor has brought in Olympic gold medalist Jordan Burroughs for his UFC 229 camp. As for Burroughs’ rumored involvement, he’s an extremely talented 30-year-old 2012 Olympic gold medalist in freestyle wrestling. It’s been rumored that the pair has worked together in the past, but that has never been confirmed. I’m not working with Conor. I’m attempting to win a World Championship of my own in October. I wish him the best of luck in his upcoming title fight with Khabib. McGregor and Nurmagomedov will main event UFC 229 from the T-Mobile Arena in Las Vegas, Nevada, on October 6, 2018. “The Notorious” will challenge for the Russian’s UFC lightweight title. 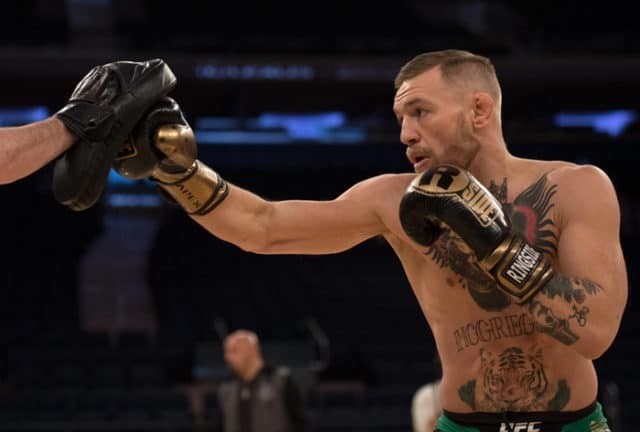 Its been nearly two years since McGregor has fought inside the Octagon. He defeated Eddie Alvarez in the main event of the UFC’s first ever show from Madison Square Garden. McGregor knocked out Alvarez in the second round for the 155-pound title. 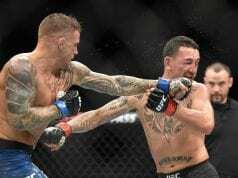 In his absence, McGregor has been stripped of two world titles (featherweight and lightweight). He partook in a money fight with Floyd Mayweather Jr. inside the boxing ring in a losing effort. 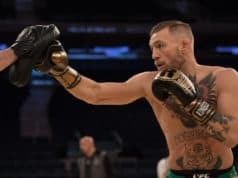 After some shenanigans in Brooklyn that led to his subsequent arrest, McGregor’s legal issues seem to be behind him. Now he can focus his full attention on making it to fight night and settling his personal vendetta with “The Eagle” once and for all.